The war of words between Ted Cruz and Donald Trump continued to escalate on Thursday with Cruz issuing his angriest statements yet following Trump's decision to post an unflattering picture of Cruz's wife, Heidi. The Tribune's Patrick Svitek reported that Cruz indicated at a campaign stop in Wisconsin that Trump is scared of "strong women" like Heidi Cruz. The larger takeaway, as The Washington Post reported, is Trump's now well documented treatment of women. "Trump has shown little reluctance in attacking his female rivals — or some of his rivals’ spouses — in ways that strike many as sexist or demeaning, and many fear that the insults are a harbinger of the gutter rhetoric to come if he faces (Hillary) Clinton in November," wrote the Post's Jose A. DelReal and Jenna Johnson. "Polling shows Trump sliding sharply among women in recent months, hurting the GOP’s already shaky position with that demographic. Trump’s favorability numbers have decreased 10 points among women nationwide since November, to 23 percent, while his unfavorable number among women has jumped to 75 percent from 64 percent, according to a Washington Post-ABC News poll taken this month." Analysis: Ethics Reform — if Texas Voters Really Want It, by Ross Ramsey — The governor and lawmakers promise to reignite their efforts to tighten ethics laws in Texas, but they have so far been missing a key incentive to make reluctant officeholders go along — public interest. State's E-Verify Law Operating Under Honor System, by Julián Aguilar — When former Gov. Rick Perry ordered state agencies to use E-Verify in 2014, his plan was criticized for not having an enforcement mechanism. But a senate bill designed to make Perry's mandate a bona fide law also lacks teeth. 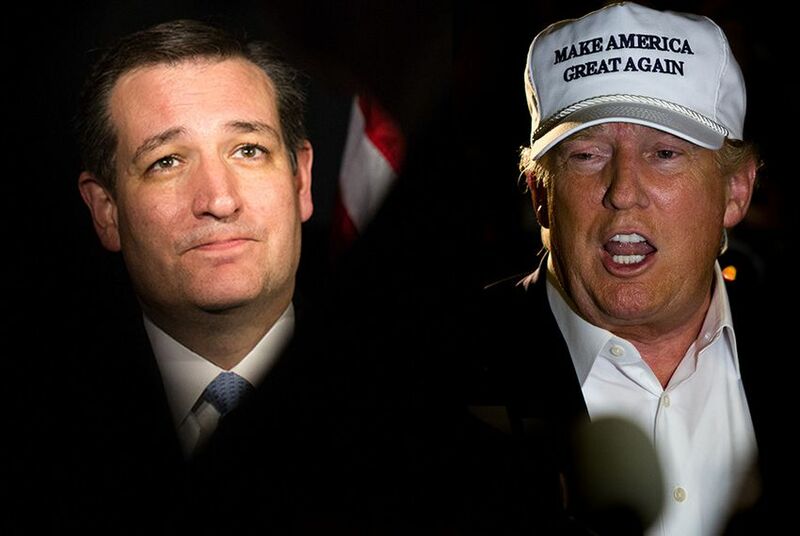 In Quest for Evangelicals, Cruz Has Encountered Headwinds, by Patrick Svitek — A year ago, Ted Cruz launched his presidential campaign promising to unite evangelical voters more than any candidate has done before. While he has made major progress, the path to consolidating support from the influential voting bloc has not been easy — and some segments of it are still reluctant to rally around the U.S. senator from Texas. Texas Regulators Approve Oncor Deal, But Uncertainty Persists, by Jim Malewitz — Texas regulators on Thursday approved the Ray L. Hunt family’s high-stakes plan to purchase and reshape the state's largest electric utility. But they added major revisions, prolonging the battle to own Oncor. Texas Planned Parenthood Affiliate Joins Lawsuit Over Secret Videos, by Alexa Ura — A Texas-based Planned Parenthood affiliate on Thursday moved to join a federal lawsuit filed in California against the anti-abortion group behind undercover videos of the organization’s clinics. "Donald, you're a sniveling coward, and leave Heidi the hell alone." — Ted Cruz firing back at Republican rival Donald Trump’s personal attacks on the Texas senator’s wife, Heidi Cruz. Why "tradition" supports hearings on Obama's Supreme Court nominee, by Anya Bidwell — Whatever justifications Republicans might have to deny confirmation for an Obama nominee, refusing to consider any nominee based on the Thurmond Rule isn't one of them.